I created this service as a way to help others celebrate the memories of their lost loved ones. After losing my own dog, I found comfort in having one of my favourite photographs of her up on the wall, and was compelled to share this with others going through the same thing I am. I knew it had to be special. I took the idea from my fine art photography approach of mounting and sealing the photograph with bees wax and damar resin for longevity, with the added benefit of the unique, one of a kind beauty of the encaustic finish, and arrived at the final idea for Memory Encaustic. I have recently created a more convenient way of placing your order through my Etsy Shop. Encaustic painting in this context is the process of using heat to fuse beeswax and damar resin onto a surface. The resin is added in a particular ratio to make the wax durable and prevent cracking. Pigment can also be added into the mix to create paintings, and this is one of the oldest art techniques, dating back to the 1st century BC. I use the encaustic preservation method to create a beautiful textured finish to mounted photographs. The whole process is done by me personally from start to finish in my workshop. Every step is archival, ensuring your art will last for many years to come. It is my favourite way to preserve your memories - it is unique, you can touch it, and its one of a kind texture pattern creates subtle reflections of the light in your home to bring it to life! Can we use an existing photograph? YES! Ideally, you would work with me to create a professional high quality portrait as the base for the encaustic artwork. However, sometimes that is not possible if the person or pet you want to commemorate with this piece is no longer with us. In this case, I will work with you to use an existing photograph, clean it up and restore it as necessary, enhance it, and carefully upsize it to make it look its best. There are a few things to consider when we choose the photograph to use - I will go over these with you in detail during our phone consultation. Number one is copyright - if we are using an existing photograph, I will help you determine if you have printing rights. Get in touch with me about what you have in mind - I am the best person to tell you what can and cannot be done. Consultation is always free, and is necessary for me to be able to give you an accurate quote. Give me a call with questions at 604 619 5016, or send me an e-mail at info@radinaphotography.com. Feel free to attach a few photos, I will work with you on getting the original file if you can find it later on in the process. Remember, it is best to get a professional portrait created first for best results, if that is an option. After losing my dog Seven, I realized how lucky I am that as a photographer, I have plenty of professional portraits of her to cover my walls with. Even if your loved one - human, canine or feline - isn't sick or old, don't wait until they are. Please. Do it while you are still at the peak of happiness together! Absolutely. 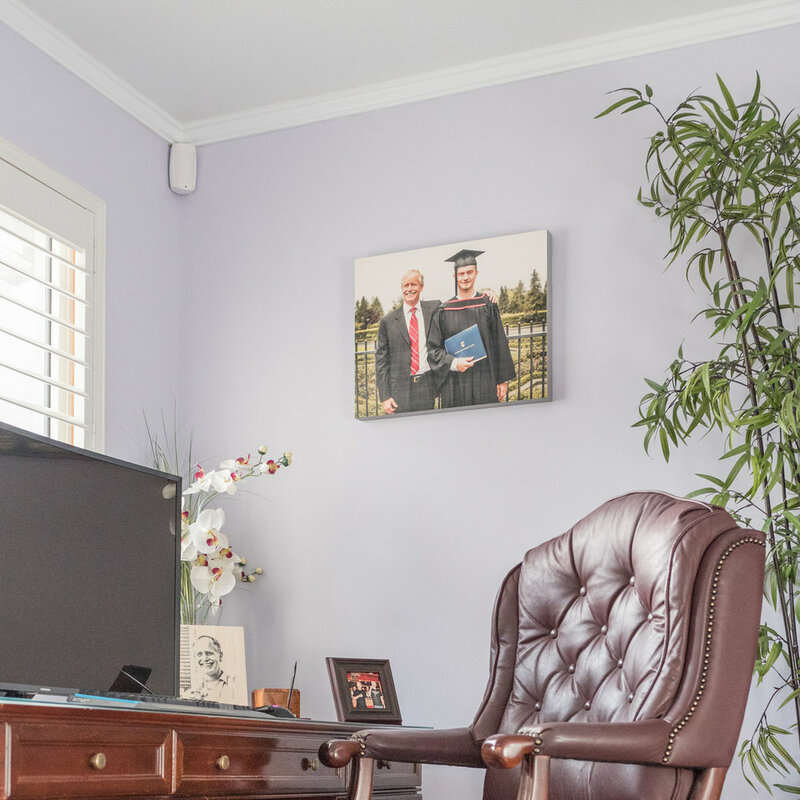 If your loved one is no longer around to be photographed, OR if you obtain a print release from a local professional photographer - I am happy to create a custom artwork to preserve your memories. Send me an e-mail at info@radinaphotography.com, we'll take it from there! Take a look at these for inspiration and to get an idea of the process. Two of these are preserved using the encaustic process, one of them using acrylic coating. This is an alternative option which I may suggest as an option to you if I feel it suits your photograph better. This is Golly. He very recently passed away, before I had a chance to photograph him professionally. Golly was his dad's loyal companion and best friend for 15 years. We were able to find this beautiful cell phone shot on Facebook of him. The original file size was good enough for a 4"x6" print. I worked on cleaning up the shot, paying attention to little stray hairs and white flecks that will really show when I enlarge the photo, enhancing it, and carefully upsizing it using professional resizing software to ensure the resulting 16"x20" artwork looks awesome. Facebook photo: Looks awesome on the screen, wouldn't be so awesome as a large print without some careful retouching. We lost my father in law to cancer a few short years ago. He didn't quite make it to his 59th birthday. He also didn't make it to our own wedding. 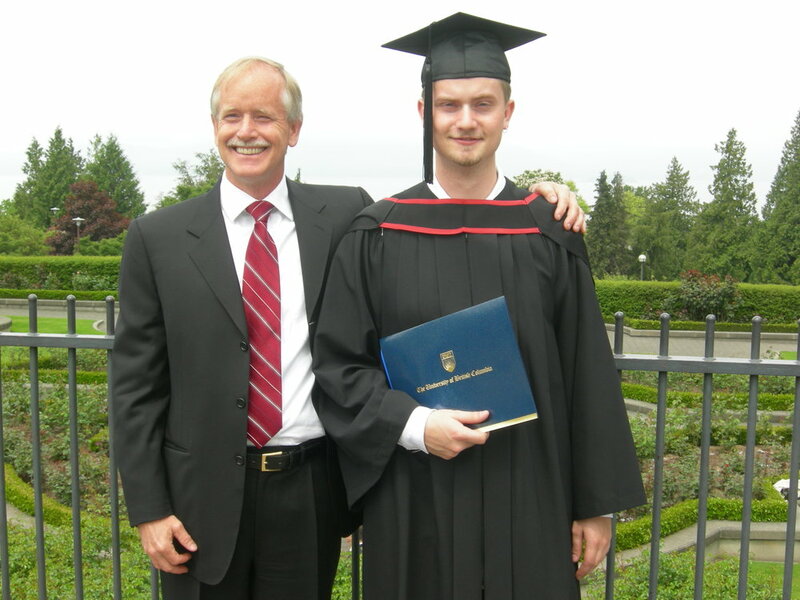 He took great pride in his children's success, and I chose this particular photograph to enlarge as he was so proud of my husband's education and career success. The image file was large enough for an 8"x10" print, but was a little soft in focus, and the colours were a little off. This is typical of a mid-range point and shoot camera. I once again cleaned it up, corrected the colours, made some enhancements, and upsized it. This one, I finished with acrylics instead of encaustics. I brushed on the finish by hand, leaving behind a very subtle fine line detail of the brush strokes, to give it some life. Acrylic finish is an alternative to encaustics, and I sometimes use it if I find it will be more suitable for the photograph. Finished mount, 16"x20" with acrylic coating for texture and preservation. This is Trish, in happy days. Trish was my mother in law's late childhood friend, who was also lost far too early. Trish was full of joy and laughter, up to the very end. This photograph was taken on an old entry level film camera, and was very soft on the focus, so I decided to only upsize to 11"x14". The nature of the film and processing of the photo paper made it lose a bit of its original glory with time. Instead of scanning, I photographed the small print with a special lens on my camera, did some restorative touch ups and gave it an overall enhancement to bring it back to life. This one is mounted and finished with encaustics. The original print, approximately 4"x6", and the restored photo encaustic artwork, 11"x14". Detail of the texture on the surface, brought out by daylight hitting it from the side. Watch this video to learn more about my encaustic artworks and how to care for yours. Watch with sound ON or it will be pretty boring!